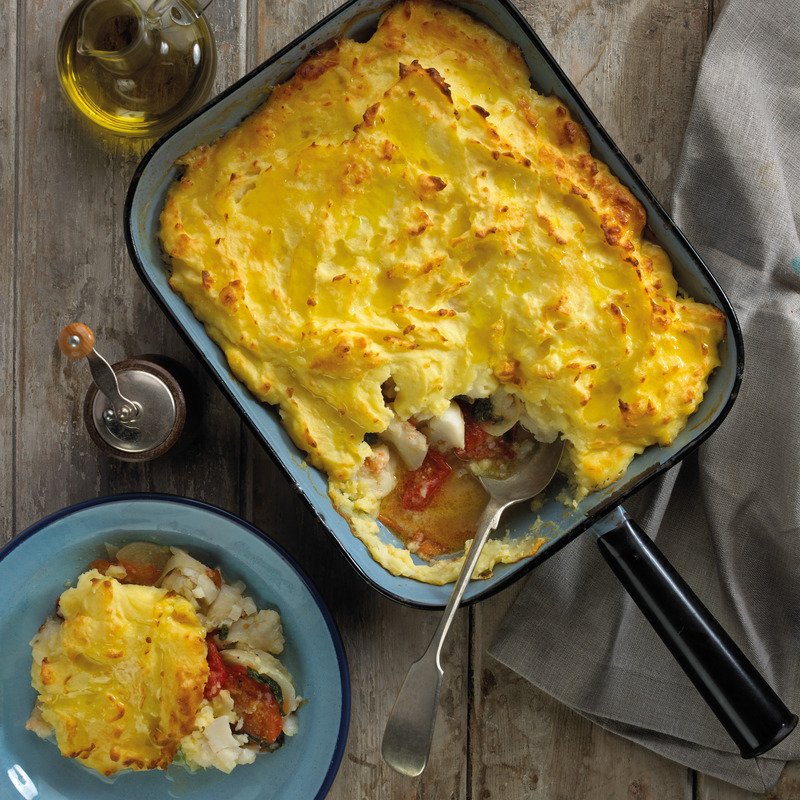 Fisherman’s Pie | Flavor Your Life. Place the potatoes into a medium pot, cover with water. Cook at a simmer in salted water just until the potatoes are tender. Drain the water. Add the butter to the potatoes and mash with a potato masher. Add the milk and egg yolks. Mix to combine. Brush a deep 9-inch round pie dish with extra virgin olive oil. Spread out one-half of the minced garlic cloves on the bottom of the dish. Place the onion circles on the bottom of the dish. Layer the tomato circles on top of the onions. Spread out the remaining minced garlic and sprinkle with the chopped basil. Season with salt and black pepper, and drizzle with about 2 tablespoons extra virgin olive oil. Cut the fish into small bite-sized pieces, sprinkle with salt and black pepper, and place on top of the tomatoes. Drizzle with 2 tablespoons of extra virgin olive oil. Spoon the mashed potatoes on top of the fish, evenly covering all of the fish. Broil for the last 2-3 minutes of baking to get a light-golden color on the potato crust.